A pleasant saturday morning it was and for working professionals to get up early that morning must be difficult surprisingly everbody had made up to the stations. 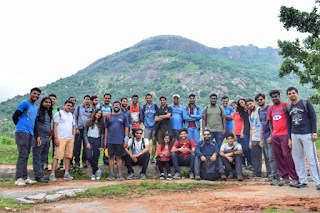 Kudos to us This trek was organised by Amol, Dinesh, Parth through BTC (Bangalore Trekking Club) who all did an amazing job. I boarded a train from Yeshwanthpur JNC lead by Rajesh and most of them boarded from Bangalore Central JNC who greeted us later. 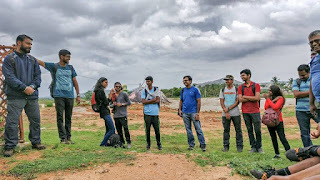 There we started heading to the destination ‘Ramadevara Betta’. 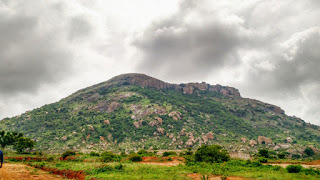 Ramadevara Betta is about 3,900 ft height above from the sea level and is situated in Kyatsandra on the Bangalore-Tumakuru road. Kyatsandra is a small town located about 70 km away from the Bangalore. The top of the hill is a huge rock with views of the surrounding towns. 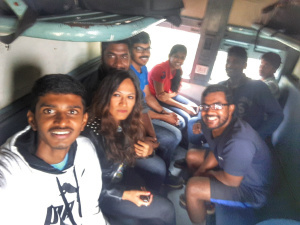 Train leaving around 8.30 at Yeshwanthpur JNC and the general compartment being mildly full, which we happily boarded and made it a living room in no time with our introductions, stories, jokes, and games. A part of the team were playing the unanimously loved game Dumb charades, where we encountered tricky movie names like ‘Sabotage’,’Grudge 3′ and sometimes easy names like ‘Zindagi Na Milegi Dobara’ while the rest of them were lost in their world (including me :P). In an hour or so, we all reached our destined station ‘Kyatsandra’. A station with only a handful of people, a water tap, and no hotel, it felt peaceful. 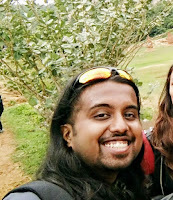 Add the nice cozy calm weather with little sun, and warmness in the cold air, made it the perfect setting for the trek to come. Walk to the hill started after strict instructions by our leads of NO smoking, NO drinking and NO littering. Violating any would call for a lifetime ban from BTC and we took a mandatory group photo down the base hill before we ascend. We tighten our shoe laces and marched towards the peak, like an army marching to fight a battle, just a lot happily and peacefully. 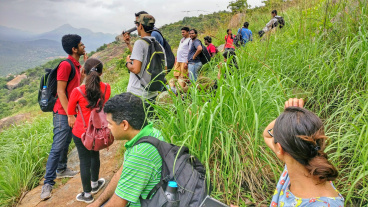 With a lot of new comers, with probably equal number of experienced trekkers, the crowd was a mix and saw excitement and anxiety alike. 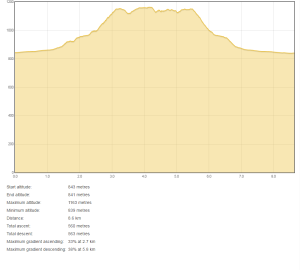 There is a regular trail which leads to the top of the hill and we follow it. The hill is bushy forest and remaining part contains huge rocks. The path is narrow and either side is infested with thorny plants. My friend and some of us did get minor scratches from the thorny plants. Walk slowly and carefully you maybe able to sight variety of butterflies, bees, lady birds and plenty other little species hovering on beautiful flowers. Watch your step and climb. Passing through big boulders, sloppy surfaces, twisted tress and bright green bushes, we reached the top. Yes, easier said than done, the feeling of triumph was surely inside all of us. The view from the top was majestic, and breathtaking. The lakes that was a little far off the mountain, looked very tempting. The roads were narrow and the big mammoth trucks looked like toys. Neighboring mountains too looked inviting and the clouds over them felt heaven. Words just cannot describe the beauty of that moment we all were sitting speechless, mesmerized, adoring the beautiful nature. 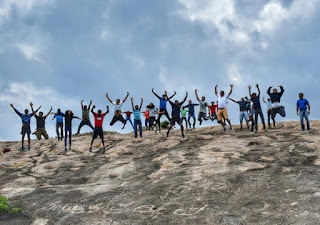 The top of the hill also had many rock formations and provided a beautiful view of the surrounding areas. 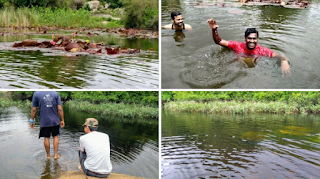 There is a small lake at the top with many flowering Lotus plants which was a stress buster and a relaxation spot to many. Water was cold enough to relax. Not to forget the mention of magnitude of hunger we had in all of us as it was pretty early, and the shine you could spot in our eyes when we saw the food. I don’t remember who but somebody opened one food box. That’s it..! Perhaps that’s something we all were waiting for, and wished someone to begin. In no time, everybody was munching on something, and roaming around to see what everybody else is eating and took a share. Nothing less than an picnic moment, this eat-a-thon went for a while until everybody were content. 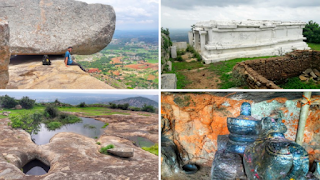 There are lot of small caves, a Shiva temple with attractive rounded pillars these style of temples are found in the Hill, a small cave temple dedicated to Rama and interesting rock formations hence the name ‘Ramadevara Betta’. We explored the hill for some time, took rest, and clicked as many photographs as we could. It was time to say good bye to the peak, and move to the base. We started descending around 2 pm and took much lesser time to reach the base, descending is quite easy and we’ll have to be a little careful as it gets slippery. We reached the base in time. As always, we finished a feedback session where words like ‘Awesome’, ‘Lovely’, ‘Memorable’, ‘Too good’, ‘My best ever trek’ were heard. We then departed from Kyatsandra but the fun didn’t end here. 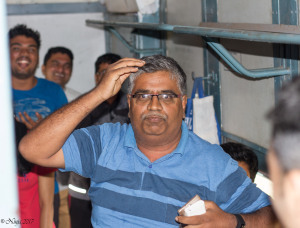 We got into the train and found our seats , we were back to the fun mode and played Antakshri so cheerfully and loud that whole bogie could hear us. As the destination was getting nearer, the heart was getting heavier as an amazing day was coming to an end. And in sometime, we have to get back to normalcy but taking back some more trekking experience. 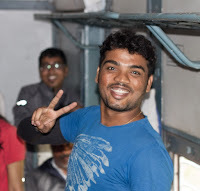 Living Young – This Uncle who was 24 something ( he says he crossed 24 twice but dint tell us his actual age) He was heavily talented who had truck loads of experience, he had also been on a trek to Himalayas last year. He gives a tough competition to the youths in terms the young energy and liveliness is concerned. Very enthusiastic person and inspiring. He also said “Life is good” . Helping Hand – A person named Niranjan got hurt while climbing. We all felt bad as he was a professional photograher who could click our amazing photos. He had got sprains and was in no condition to climb the hill. 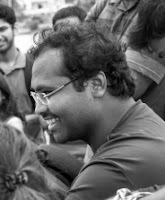 Hence one of the organiser (Dinesh) went along with him till the base hill. Dinesh was with him until he was fine and later he joined us on the top hill for food. This shows how one should be ready to help when somebody is in need. The trek ended there, and the blog ends here. But honestly, the memories of this trek would last forever. We have had a beautiful day, and made some new friends, had some crazy adventures and munched on some delicious food. We have done it all. But we are hungry to do more. More such adventures awaits. And more memories. Till then, Enjoy doing whatever you do. 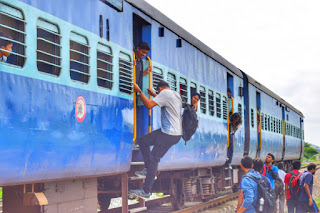 Railway station: Kyatsandra, but only few of the passenger trains stops there. Other option is reaching Tumkur and taking local transport. The trains which we borded- 56515 Hubli passenger while going to Kyatsandra and while departing back to Bangalore, 56226 Tumkur- Bangalore passenger. Bus: Often buses which plies between Bangalore-Tumkur and return, get down at Kyatsandra. Food: There are no hotels nearby, it’s better you pack your food.